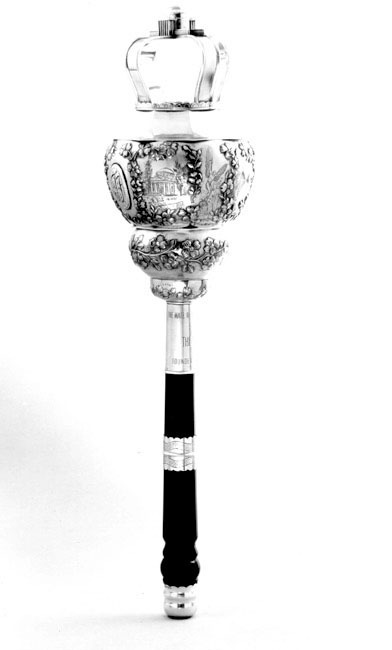 Carried at the head of academic processions, the mace has been the symbol of University authority since its presentation by the Seven Society in 1961. 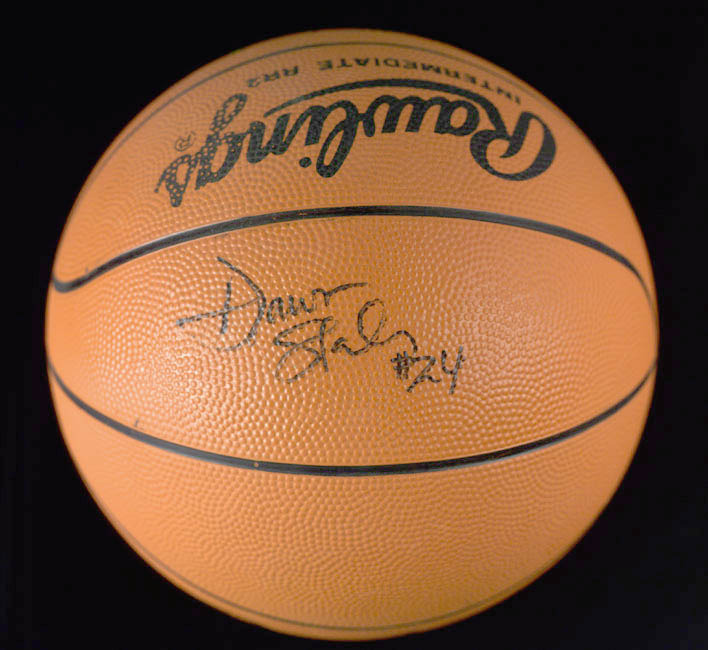 Basketball autographed by noted basketball star, Dawn Staley. Staley graduated from the University of Virginia in 1992. 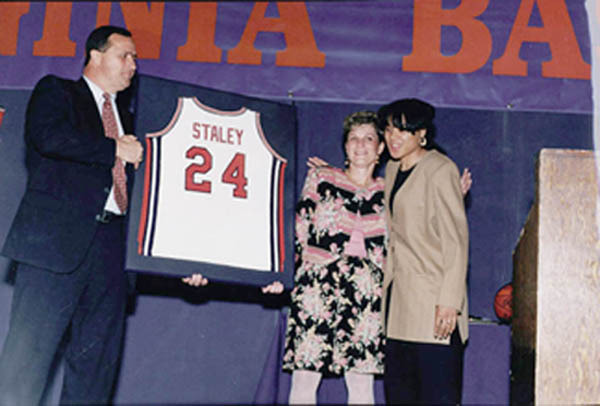 Photograph of Dawn Staley with Coach Debbie Ryan, no date. 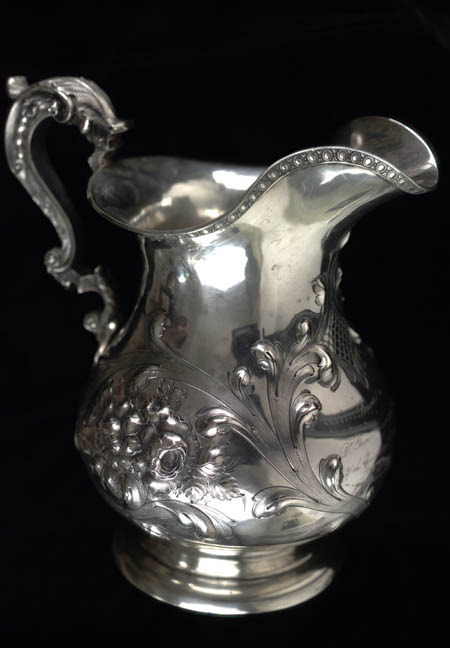 Gessner Harrison, professor of ancient languages from 1828 to 1859, was presented this silver pitcher and goblets "by the Students of the University of Va. Session 1858 & 9 as a Memorial of their high regard and esteem." Basil Lanneau Gildersleeve, with a Ph.D. from Gottingen in Germany already in hand, came to take the chair in Greek shortly before his 25th birthday. He remained at the University for twenty years, a strict but inspiring teacher. During the lean Civil War years, he taught Latin in addition to Greek and served on the staff of General John B. Gordon during his summer vacations. He was wounded in 1864 and left with a permanent limp. In 1876 he was called to be the first professor of Greek at the newly founded Johns Hopkins, but affection for the University remained and he was the first person to contribute to the rebuilding of the Rotunda in 1895. His headstone in the University of Virginia cemetery contains a quote in Greek from Aeschylus well suited to the scholar and soldier: "Life's bivouac is o'er."